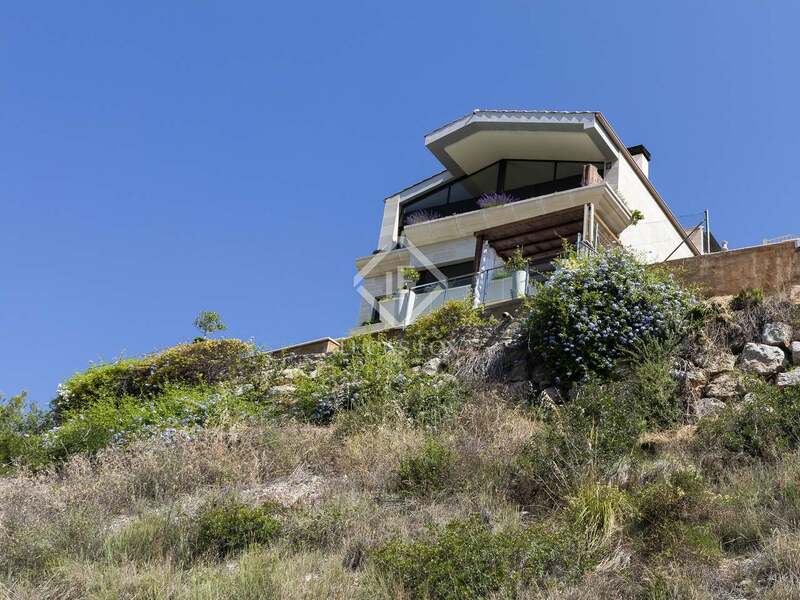 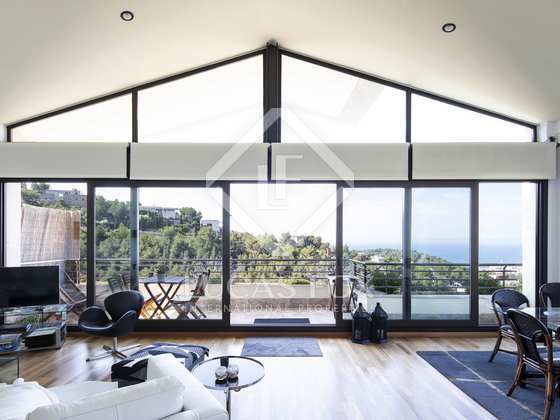 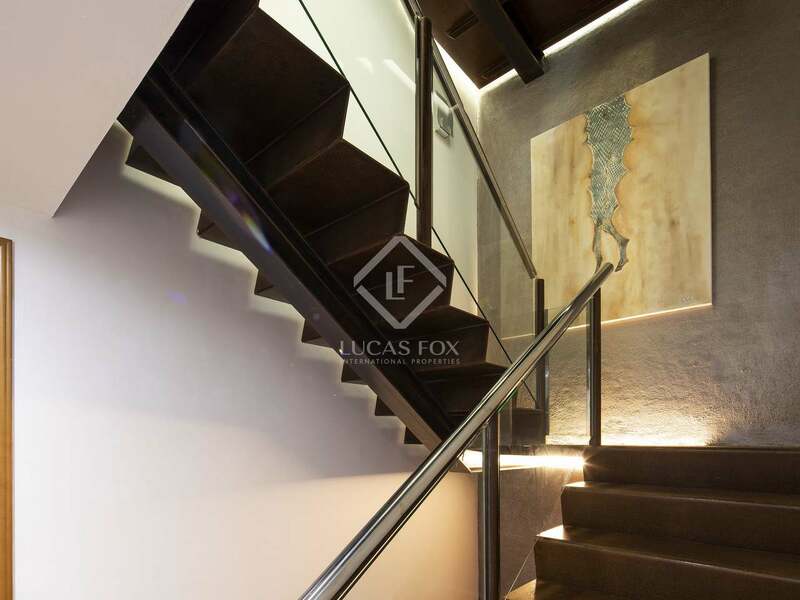 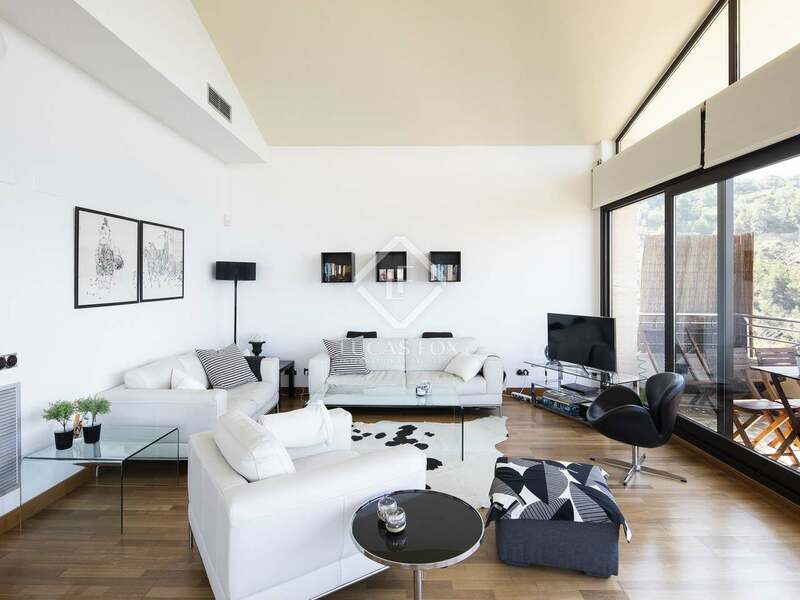 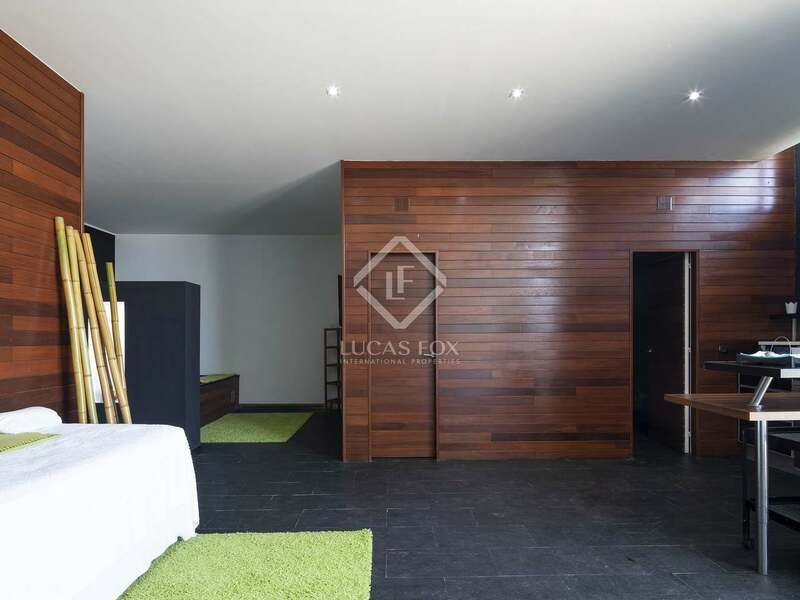 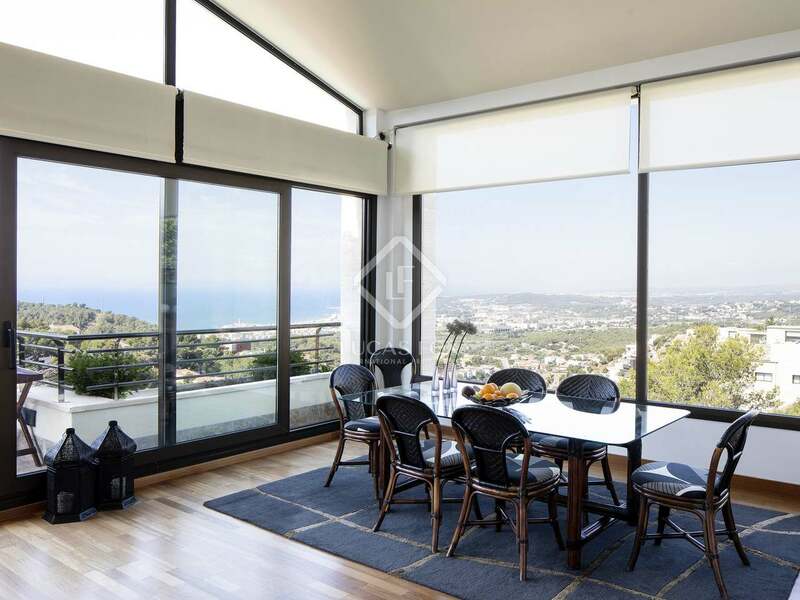 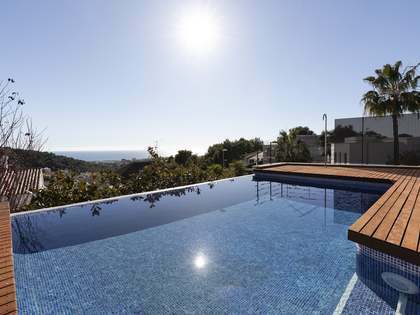 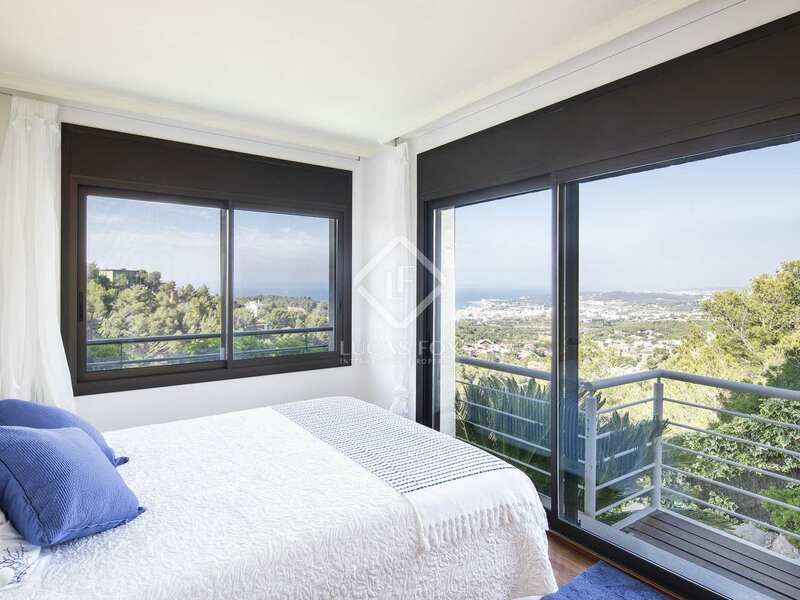 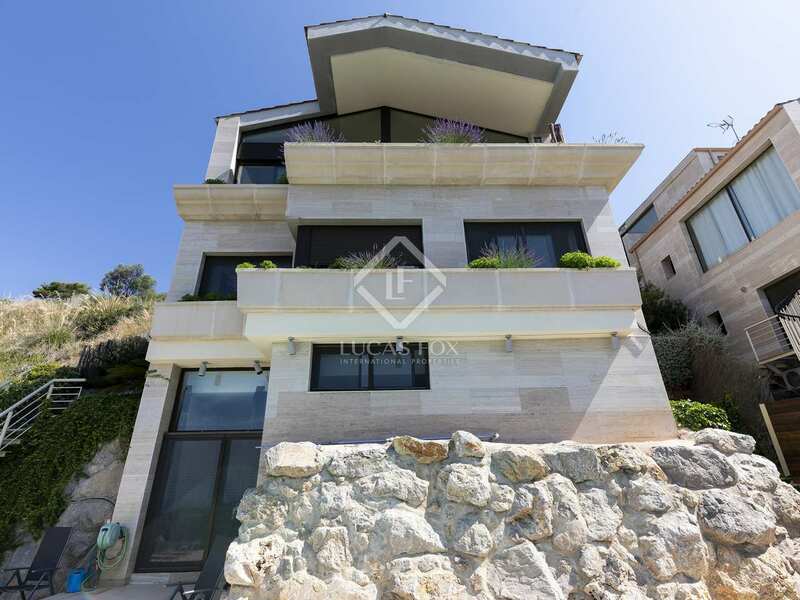 Built in 2008, this modern 4-bedroom villa enjoys a spectacular hillside location in the peaceful Quint Mar neighbourhood of Sitges. 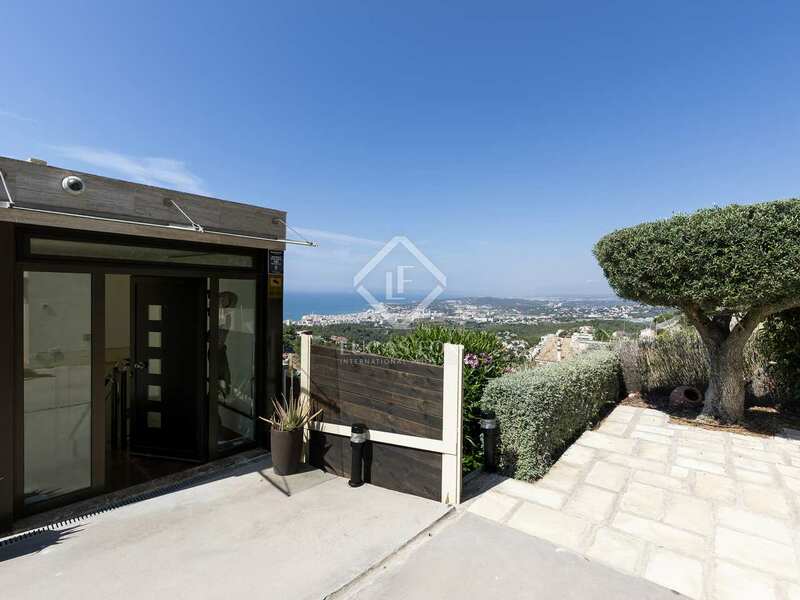 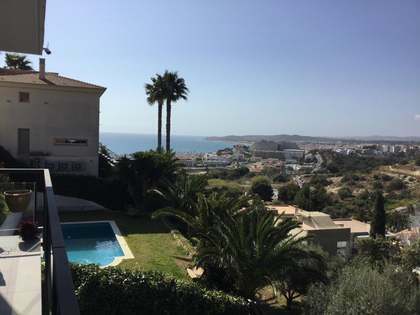 Wonderful panoramic sea views can be enjoyed from both the interior of the house and the swimming pool area, a terrace with covered outside dining area and the rest of the plot with its natural garden. 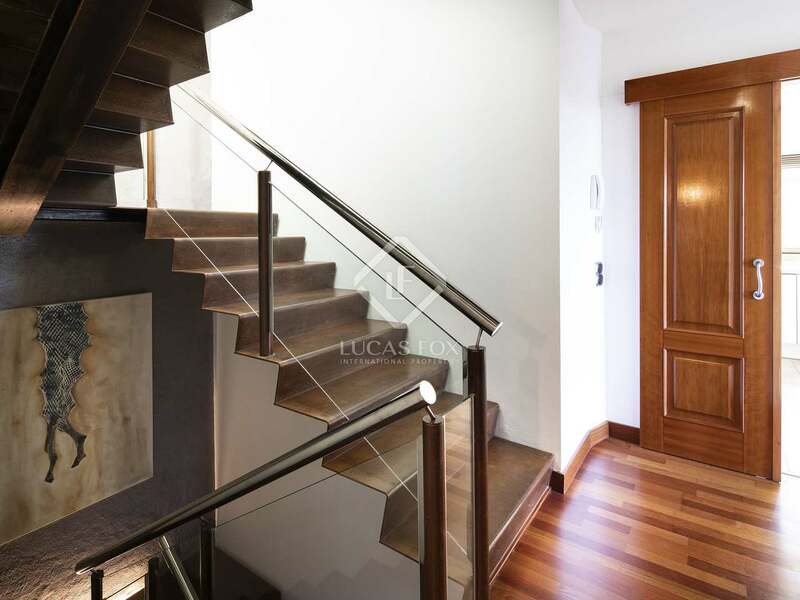 We enter the house at street level, leaving the car in one of the 2 outdoor parking spaces and taking the lift down from the entrance hall. 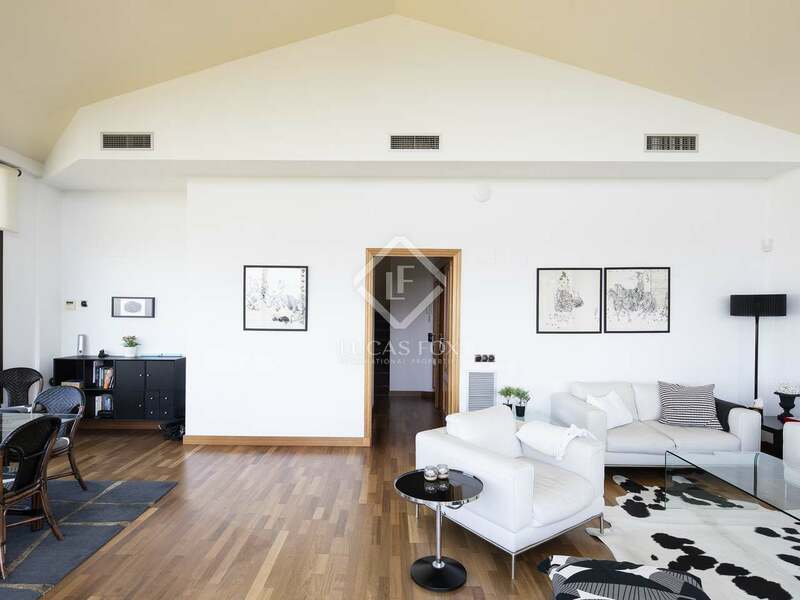 The spacious and living room – dining room with abundant natural light and access to a terrace is found on the -1 level of the property, along with the fully equipped kitchen, an office space and a guest toilet. 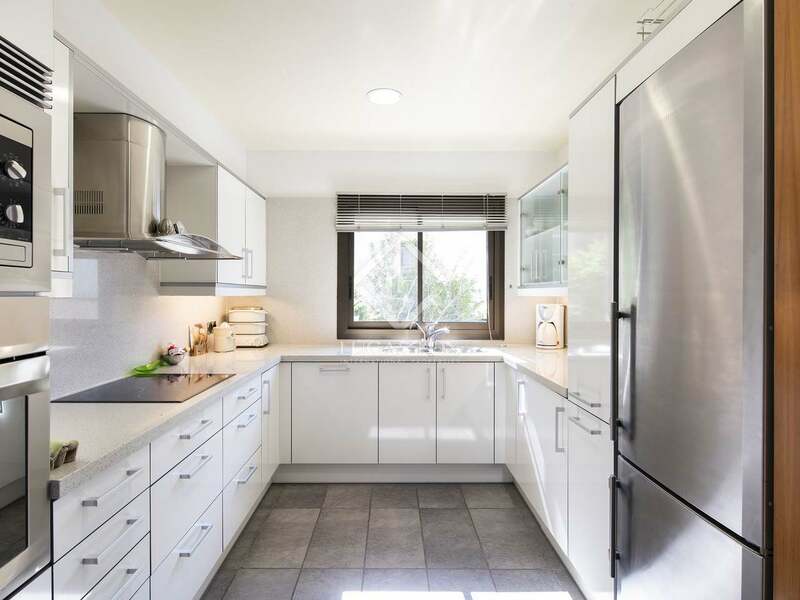 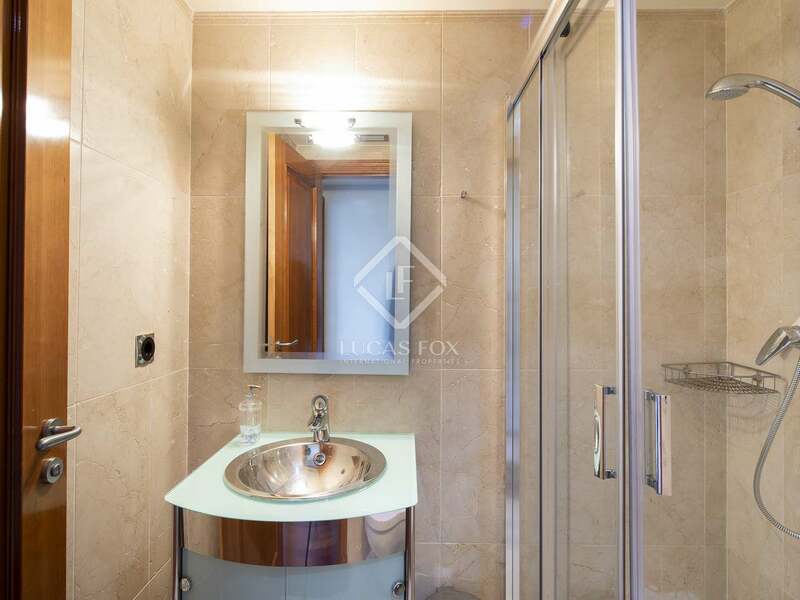 On the -2 level of the house we find the 3 bedrooms which include 2 ensuite doubles and the master bedroom with its ensuite bathroom and walk-in wardrobe. 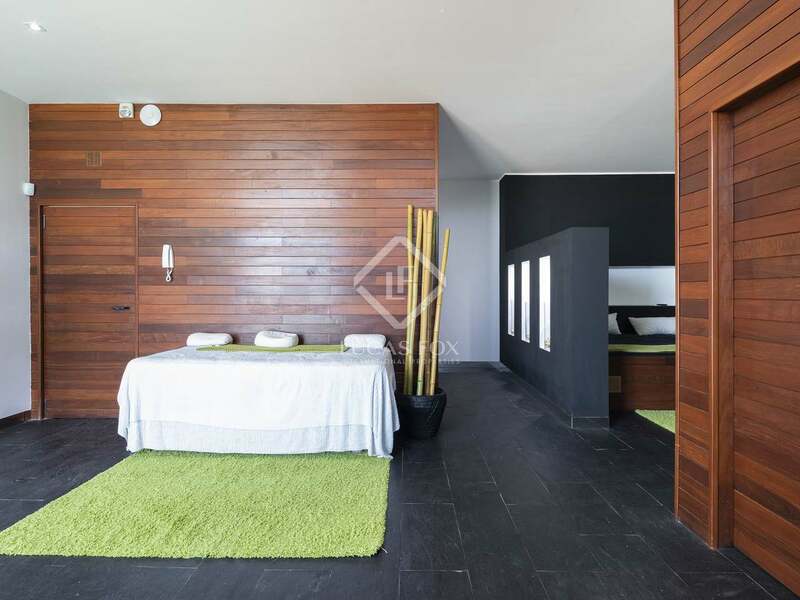 There is also plenty of storage space on this floor. 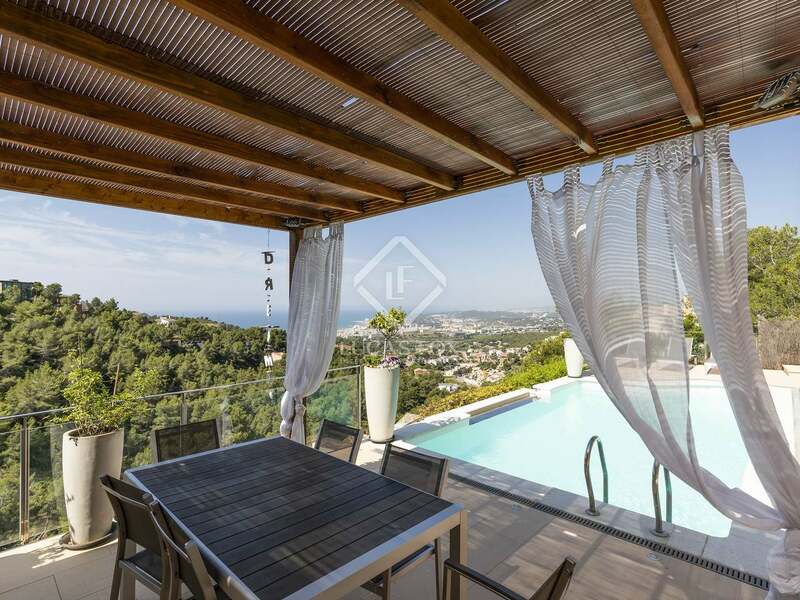 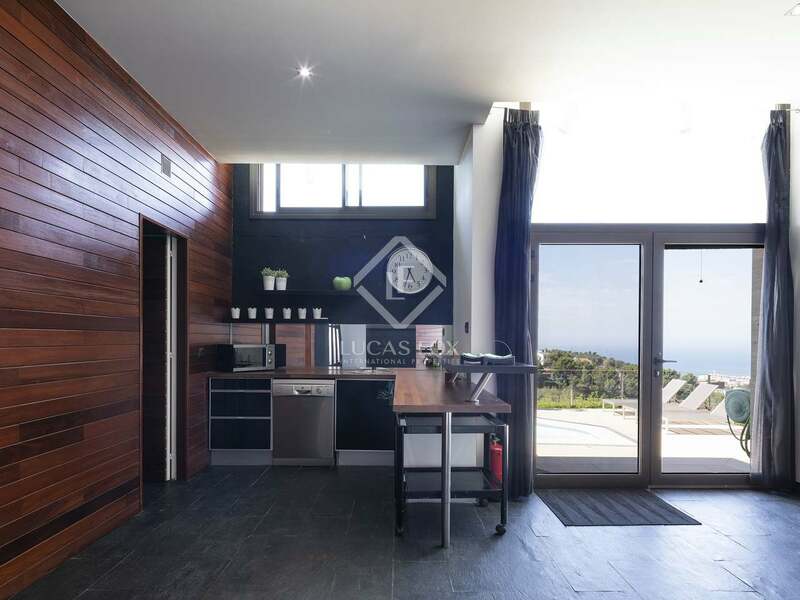 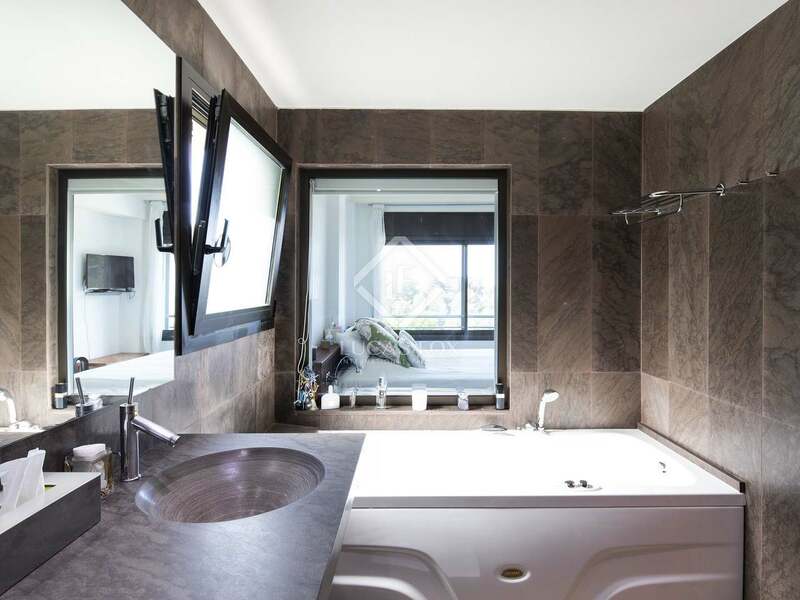 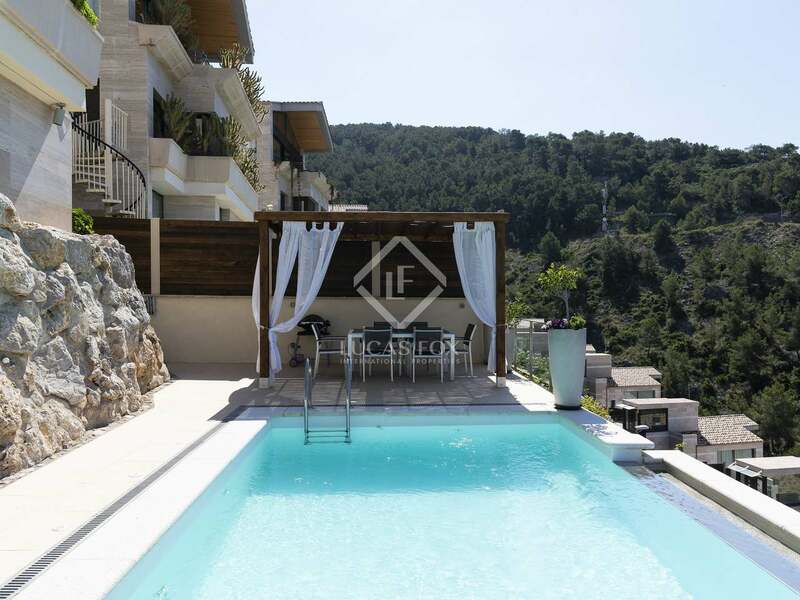 The -3 level of the house offers a large open space that is currently in use as a guest apartment with a bedroom, bathroom, kitchenette and access to a large terrace with a salt water infinity swimming pool and spectacular sea views. 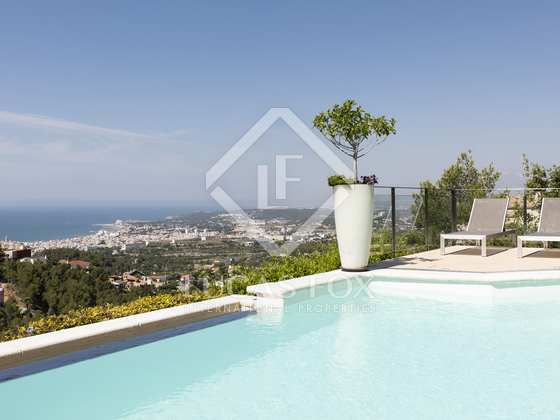 A magnificent primary residence or holiday home for a family, with excellent long-term rental potential. 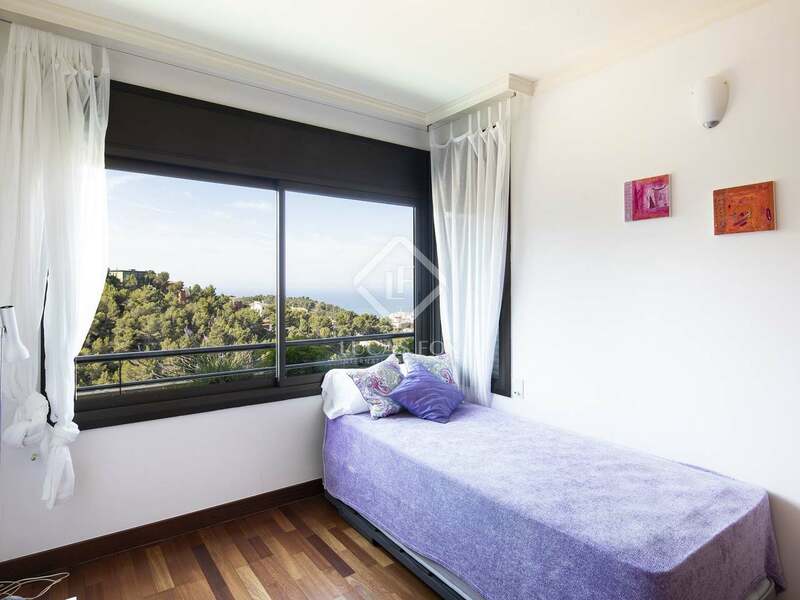 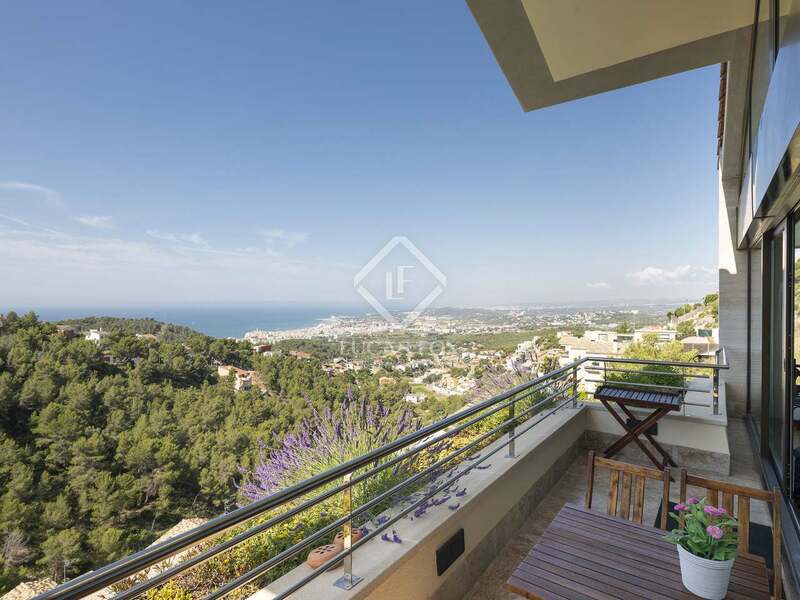 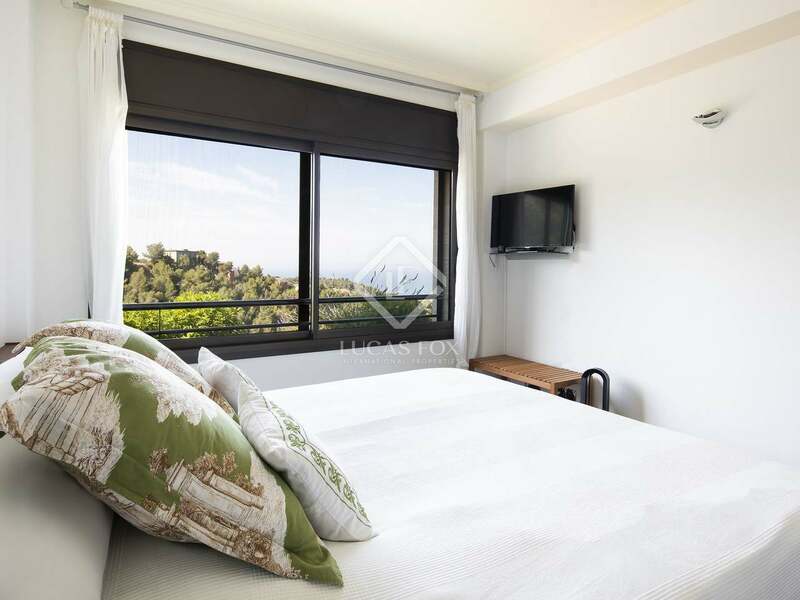 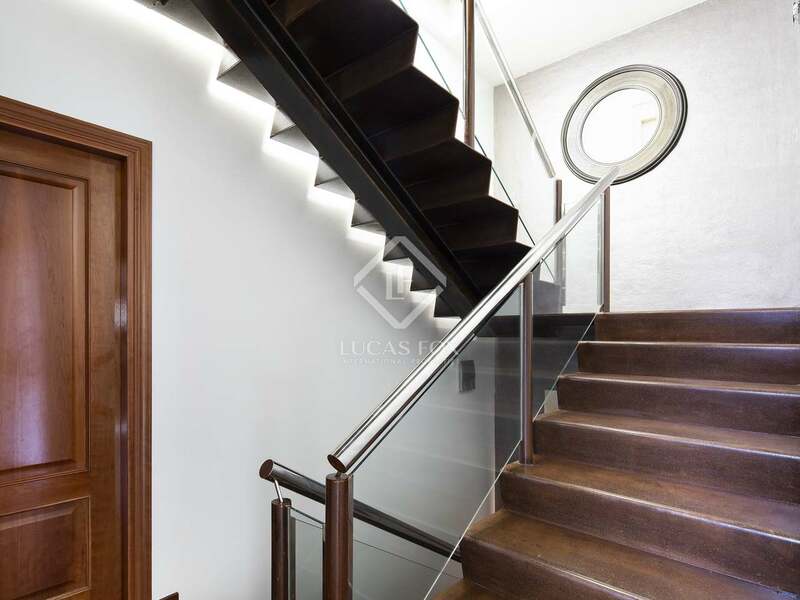 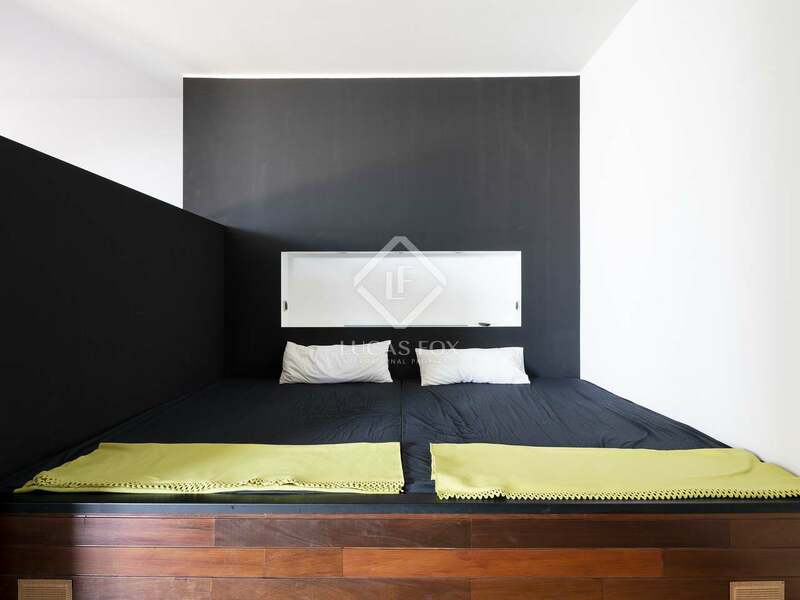 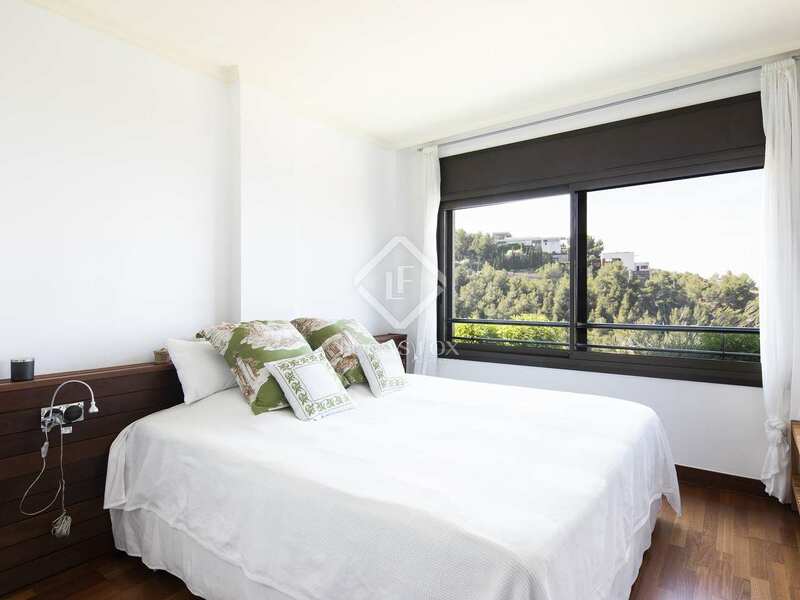 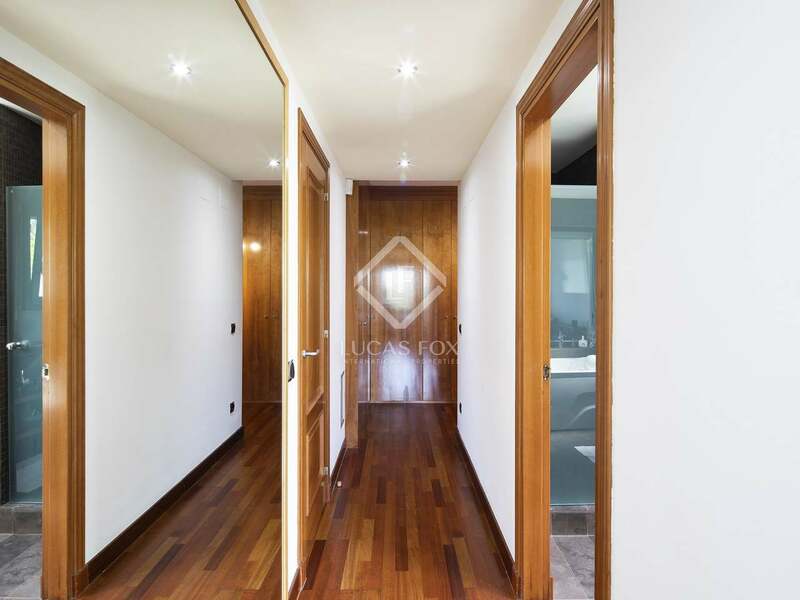 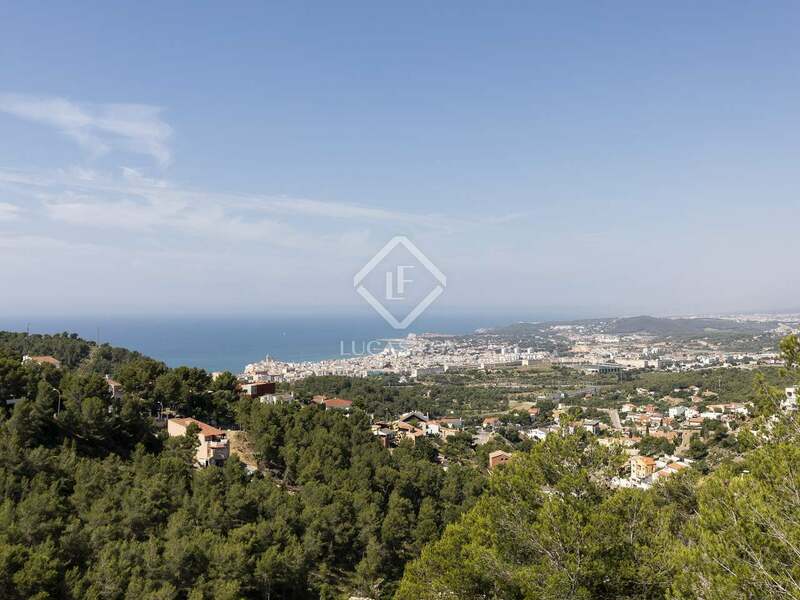 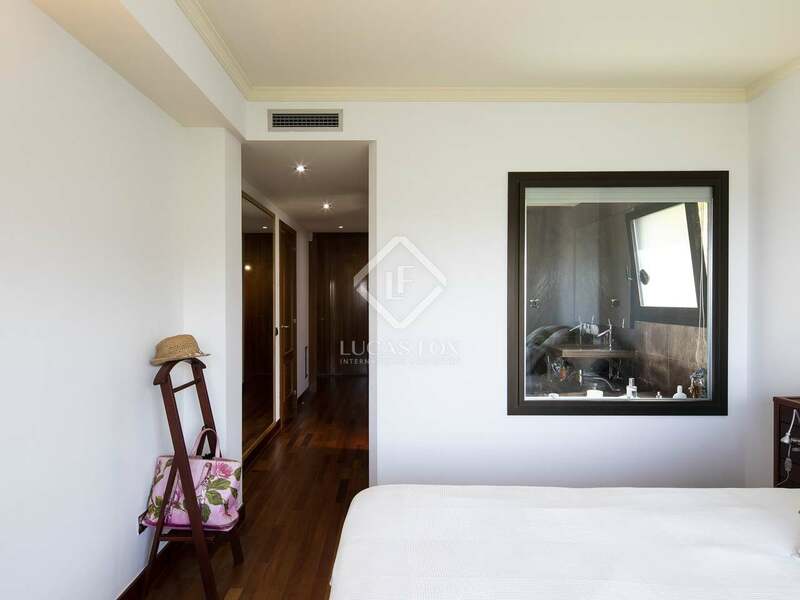 Situated centrally in the quiet residential area Quint Mar in Sitges, approximately 3 km from Sitges town centre and the train station and a 5 minute drive from the harbour and the beach.